Medical polymers undergo changes in both structural and mechanical properties when subjected to ionizing radiation. Certain classes of polymers are susceptible to chain scission mechanisms while others are altered through crosslinking processes. These generalizations are complicated by the atmosphere in which the polymer is exposed to the ionizing treatment. Because these devices must be sterilized prior to implantation their long-term structural evolution owing to the effects of ionizing radiation coupled with environment must be understood. 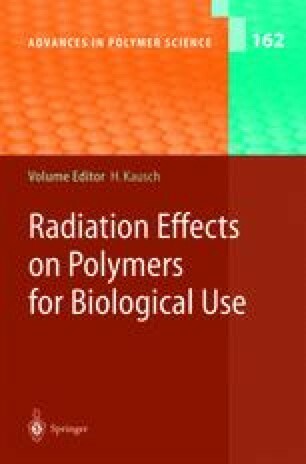 This work summarizes the wide-ranging effects of ionizing radiation on the mechanical and structural properties of medical polymers.